A larger than life experience in the royal stay. 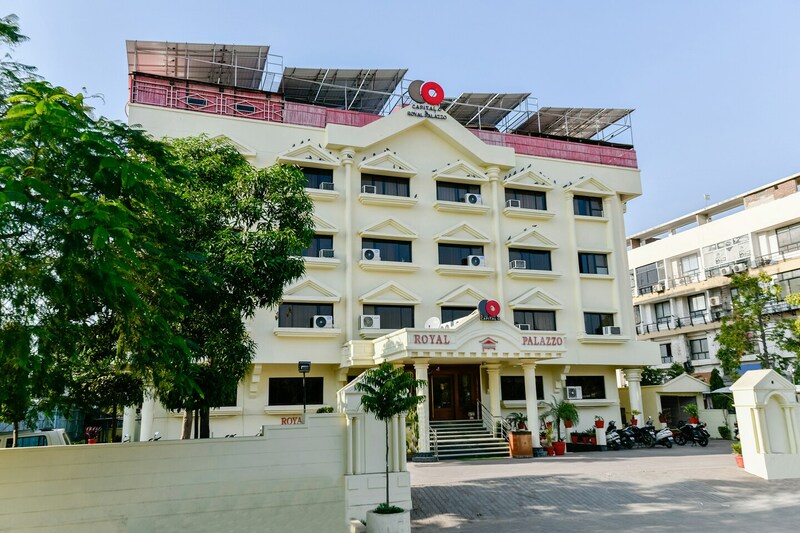 Having kept in mind the heritage of Jaipur, Hotel Royal Palazzo is a property which absorbs the authenticity of culture and aesthetics of the city. Like design and facade all around the city, the hotel is styled with a traditionally designed and detailed approach. From room architecture to interior decor, this majestic hotel has beautiful rooms with handcrafted work of art designs. The spacious rooms are done in impressive woodwork and the windows make the room bright. The common sitting area is decorated with a hint of Parisian culture. The furnishings feel regal and reflect the royal charm of Jaipur. You will always feel welcome at this stately property with a youthful and classic bar and earthy dining area serving local cuisines from the in-house restaurant. The guests can unwind with a game of snooker at the property. The hotel also has a banquet hall and conference room for various functions and events that the guests may want to organize. Other facilities at the hotel include elevator, laundry. Parking space and CCTV cameras.